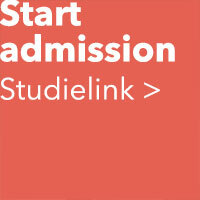 In the Netherlands, all students register via Studielink. Please select the correct program; Crossmedia Design Enschede / Fine Art Enschede / Moving Image Enschede and select the city Enschede. Then you select the date of the entrance exam or the option Skype entrance exam. A Skype entrance exam is only available for applicants who live outside the European Union. The entrance exams at our academy are on: March 30, April 13, April 20 and May 25. Enrolment for Non-European applicants is closed due to Visa deadlines. You are welcome to apply for the study year 2020-2021 after 1 October 2019. Our studies are at a Bachelor level. In order for you to be enrolled as a student, we need a positive result for the entrance exam and the equivalent of a HAVO, VWO or MBO4 diploma. The Dutch organization Nuffic offers information about the level of your diploma. Please check to be sure that your diploma meets this requirement. There are also language requirements, please check. Why do an entrance exam? In the Netherlands, it is normal to do an entrance exam before starting at an art academy. The goal is to establish if we are the right academy for you. Being accepted means that you have enough talent and motivation to succeed in our program. Do I have to come to your academy for the entrance exam if I live abroad? We advise all international applicants to come to our academy for the entrance exam. The exams will take place on Saturdays. EU citizens can apply all year for regular admission exams. It is possible to visit our academy on a Friday before and meet with our students and teachers. If you wish to use this opportunity, please send us an email. Only for non-European applicants, it is possible to do an admission exam via Skype. The deadline for registration is 21 March 2019. Check the information below about the entrance exam. What is an admission exam? The entrance exams for the programs Crossmedia Design, Fine Art and Moving Image takes place at our academy on a Saturday from 10.00 until 16.00. During the day you will work on a visual assignment. The necessary art material is provided for. The end result of the assignment will remain at the academy and will be evaluated by the entrance committee. You will also talk to our teachers about the works you brought along. You will give us an insight into your talent and interests and you will have the opportunity to explain the works. In this talk you can show us what you are able to – and tell us what your dreams are. On which criteria will I be assessed during the entrance exam? you are able to express yourself visually, to work from your perceptions and concept. you have a good understanding and sense of color, form, and material. Your work is authentic and original. you are motivated, a skilled communicator, you share your fascination and inspiration and display determination and discipline. you have an inquisitive and experimental attitude, you are curious and have a focused interest in the field of art and design. We expect an overview of your work that will give us an insight into your persona, talents, and interests. Bring as much as you want: drawings, paintings, photography, videos, mockups, and objects but also sketchbooks and rough outlines of ideas. You may take photos/videos of objects which you cannot transport and bring those instead of the objects itself. Adopt an active attitude and make sure you can explain your work. The committee will ask you about your motivation and will also be interested in your knowledge of visual arts and design. Your ability to visualize your ideas is crucial to the decision on your admission. When will I get the result of the entrance exam? You will be informed about the result of your entrance examination within three working weeks. If you are rejected, we will try to explain the reasons why. Admissions are only valid for the academic year following the entrance examination. What is an entrance exam via Skype? An entrance exam via Skype is a 30-minute interview. The aim of the entrance exam is to establish if we are the right academy for you. You will get the possibility to show us who you are, what your interests are and motivation is. How can I get an appointment for a Skype interview? A Skype interview is only available If you live outside the European Union. Please follow our regular registration procedure via Studielink and select the option Skype interview. Once you have sent us all the necessary documents, we will invite you for the interview. When will the Skype interviews take place? The Skype entrance exams will take place in January, February and March 2019. If you wish to do an entrance exam after this date, it is only possible to attend a regular exam at our academy. What should I send for the Skype entrance exam? We request a portfolio (overview of your work), a letter of motivation, copy of your passport and a copy of your diploma or information on your expected diploma and graduation date. Please send all documents at once via WeTransfer. Short résumé and any other information which you think we should know. In the portfolio (overview of your work), you comprehensively describe earlier works, performances, design projects or other contributions to the field of Art & Design. How can I prepare for the Skype interview? Make sure that you have a working internet connection and Skype account and that you are logged in 5 minutes in advance. Adopt an active attitude and make sure you can give information about your process, ideas and work. The committee will ask you about your motivation and will also be interested in your knowledge of visual arts and design. Your ability to visualize your ideas is crucial to the decision on your admission. Our academy is five minutes by bus from Enschede Central Train Station. A bus in the direction of Hulsmaatstraat departs every eight minutes: Take city bus line 2 (to Deppenbroek), or bus 60 or 61 (to Overdinkel or Oldenzaal). Get off at the stop Hulsmaatstraat.